As I posted a few days ago, a local sports talk station in Houston does an annual Smack-Off On A Mobile, which imitates, perfectly, Jim Rome’s annual Smack Off. I think this is always hilarious. The good guys at 1560 The Game limit this annual to one hour, but it’s a great hour. Take a listen to the files below. Enjoy, and let me know what you think. Oh and, the surprise call in the 2nd segment from former NFL Quarterback Jim Everett is a real treat. 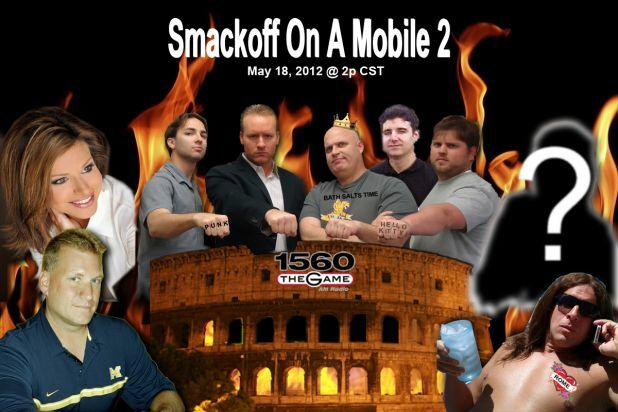 Before you listen to the 2012 Smack-Off On A Mobile, you may want to listen to last year’s (2011) Smack-Off on a Mobile here. And all the original sources are here, including a great poster for the SOAM2. If you’ve ever listened to Jim Rome’s Smack Off, well, this is way better. The local sports guys in 1560AM do a perfect imitation of the show. Adam Clanton does a perfect Rome. Tune in this Friday, listen online. Texas Comptroller Susan Combs has launched a great website for all the world to see. The Texas Economy strives to provide you with the latest news, trends and analysis on issues affecting the state’s economy. Our mission is to present hard-hitting data, information and insights on a wide variety of topics of concern to Texas policymakers, businesses and taxpayers. Take a look, tour the site and see what intrigues you. Every state, city and municipality should be finding ways to be much more transparent and open about their governing processes. These locales should also be open to feedback and ideas from the public. Take Houston for example: a city with 2 million people and with 5 million people in the surrounding area. The city of Houston now elects 17 members to the city council, which includes the mayor. I doubt these 17 people have all the answers for 2 to 5 million people. Opening the doors and shining a light on the business of government will help is spend less and get more.